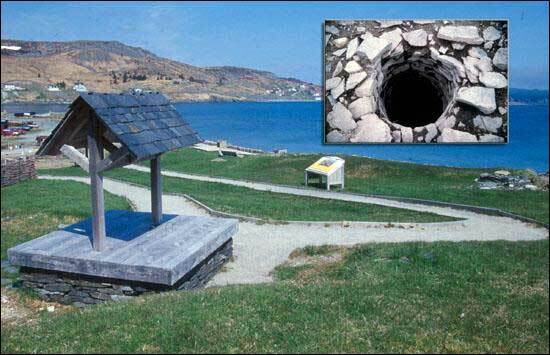 Reproduced by permission of the Colony of Avalon Foundation, Ferryland, NL, © 2001. Between the abandoned forge and the cobble street a house was constructed sometime after mid-century. 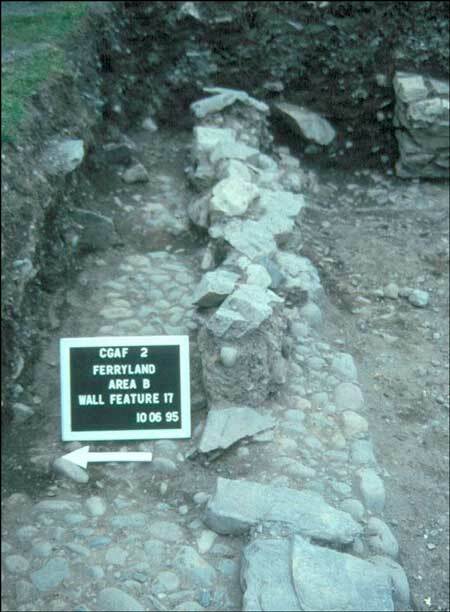 This photograph shows the rough stone foundation in the foreground and a portion of the fireplace at left. This house was from the mid-17th century. The house foundation fronting the street encroaches on the cobbles, suggesting that space was at a premium and that rigid social control over construction may have been breaking down. 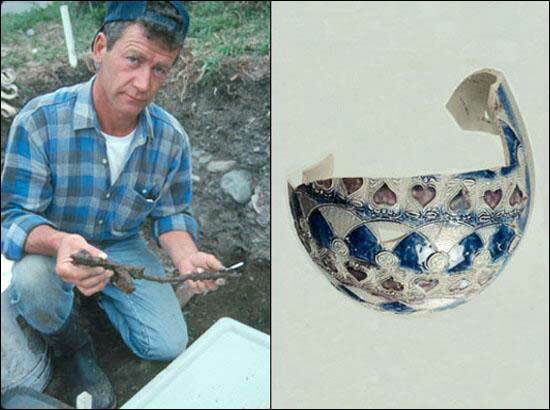 As well as coarse earthenware, glass and other objects the refuse from this house included this flesh fork and fragments of a Westerwald jug from the later 17th century decorated with purple hearts and the usual cobalt blue. 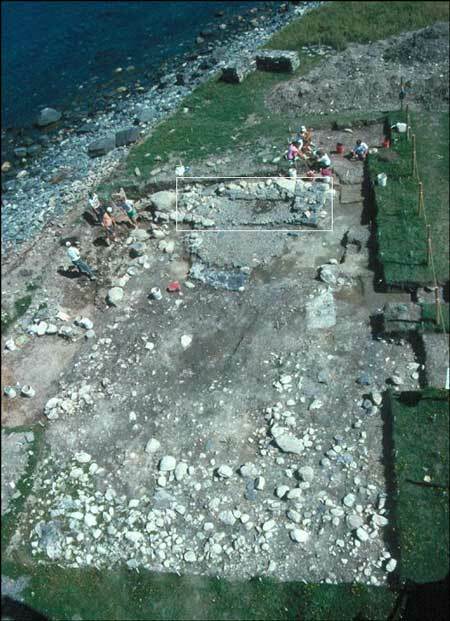 By mid-century the settlement had spread beyond the original defenses and on to the Ferryland Downs to the east. 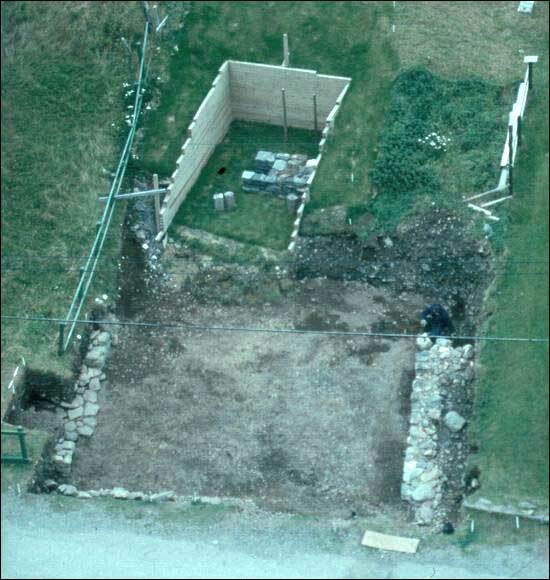 This photograph shows a house with the foundation of a massive stone fireplace in the eastern gable end. 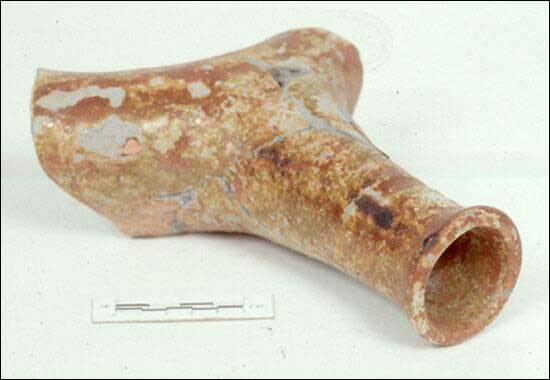 Among the ceramics from the Downs house was this unusual North Devon coarse earthenware bedpan/urinal, made late in the 17th century. 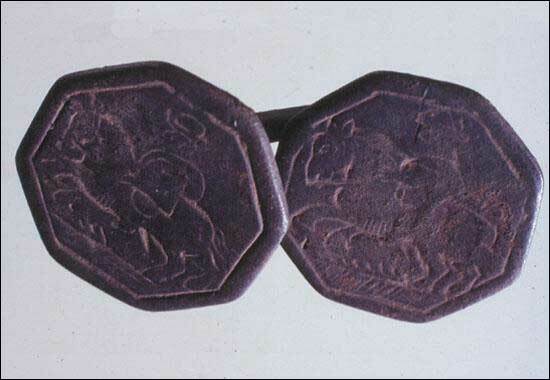 The silver cufflinks are virtually the only high status object from the "middling class" house. South of the Downs house, and slightly up hill, was this stone-lined well, about 25 feet deep. Glass and ceramics from the bottom of the well matched with the material from the house. The well appears to have been in use from the latter part of the 1600s until it was filled about 1800. The planter's house on the Downs was destroyed during the French attack in the fall of 1696. 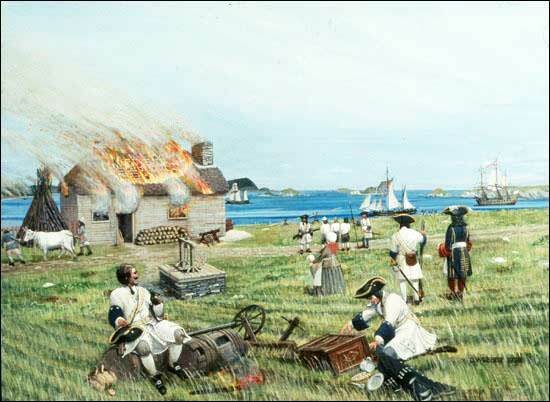 The settlement was entirely destroyed and the settlers either imprisoned or transported to Appledore, England. Many returned the following spring to resume their lives in the New World. The winter of 1696/97 was the only period following 1621 when Ferryland was not occupied by European settlers. Also follow the Audio Visual Version of this text and image-based tour at the Colony of Avalon Foundation website.